For the first leg of our honeymoon in Hawaii last fall, we stayed in Honolulu on the island of Oahu. 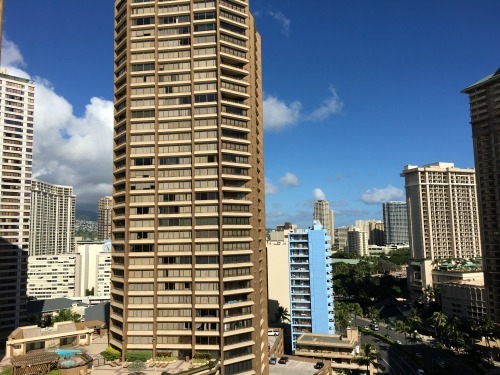 We were told that the city "wouldn't feel like Hawaii" but that the hotel we picked, The Modern Honolulu, was an awesome boutique hotel just off the main Waikiki Beach area. The hotel was indeed awesome; we had a great corner room (on the top level!) that faced part of the city and part of the marina/hotel pools. That afternoon when we arrived, we explored the hotel grounds, unpacked, and rested from the long flight. We decided to get dinner on Waikiki Beach at Duke's, a "chain" restaurant on the islands. The location right on the beach, live band, and buzz-ing atmosphere was a good spot for our first night. We got to see our first sunset from our table too! 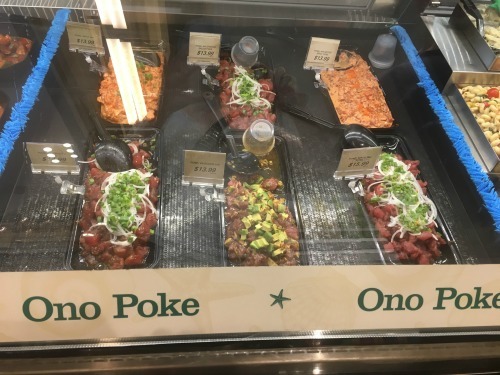 All the delicious food we ate during the trip you can see in this post: what to eat in Hawaii. We were up early, 6am - actually not too bad!, so decided to do Pearl Harbor. 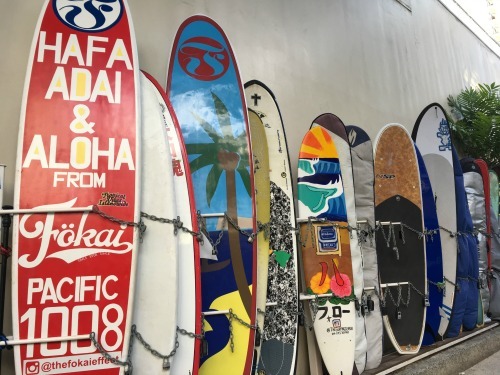 This was one of the main attractions we wanted to do and see in Hawaii (and why we chose Oahu vs. The Big Island). We got there around 8:15am (easy Uber ride) and got our tickets for the 12:30pm tour of the USS Arizona Memorial. They are timed tours, so we spent the next 4 hours visiting the museums at the World War II Valor in the Pacific National Monument (the official name) that also had the Bowfin submarine, the USS Missouri, an aviation museum, smelling the plumeria flower trees (me not the hubby, ha! ), and more. The former battleship and sub took up a lot of time, so we had to even rush to make the 12:30 tour of the Arizona! It did not disappoint. While a very somber and amazing experience, I was glad we took the time (more time than we thought - 6 hours). It was also really cool to tour the Missouri, as my grandpa was on the Midway so it made me think of him and his experience in the Navy. After, we took an Uber to Chinatown, a downtown area with cute shops and restaurants. I specifically wanted to go to Owens & Co. that I had been following on Instagram and upon arrival in the area, realized we should've allocated more time to explore the area and even grab a meal at one of the many restaurants. Next time! Dinner that night was Roy's Waikiki (see foodie pics here) but first we got drinks at SKY Waikiki that overlooks the city. Amazing views and fun experience; definitely recommend for a fun atmosphere & great views, even if it is a bit touristy. We woke up bright and early (6am easily awake once again!) 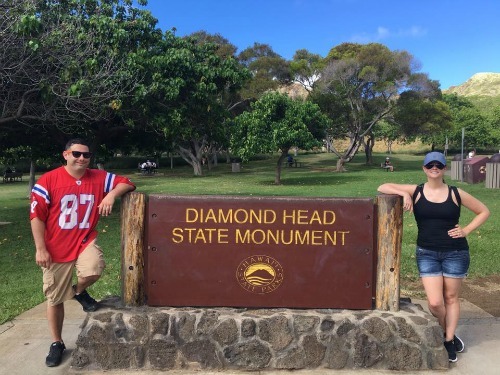 to hike Diamond Head, the volcano crater state monument an Uber's ride from the hotel. The hike took about 25 minutes up and 20 minutes down that had views at various levels. 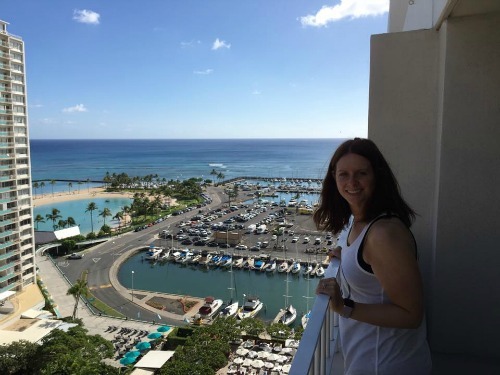 We got up there and took in the 360 degree views - the colors of the ocean and seeing Waikiki Beach from above, both were just amazing! The rest of the day we got pampered starting with a couples massage at the hotel and reserving a daybed at the sunrise pool. Not too shabby having lunch and relaxing poolside! That night we had dinner off the beaten path at a restaurant that the Owens & Co. worker had recommended: Town. We felt like locals! 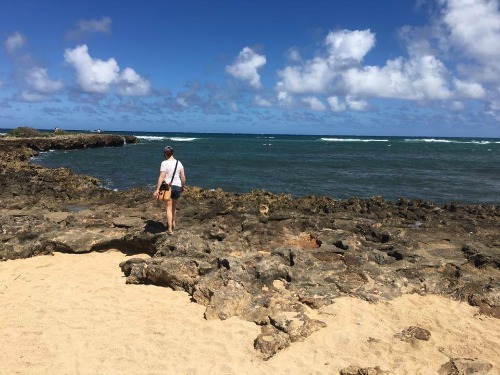 For our final day on Oahu, we rented a jeep and took a drive around to the North Shore. I downloaded a great app (Shaka Oahu) that works offline and provides commentary along the trip. 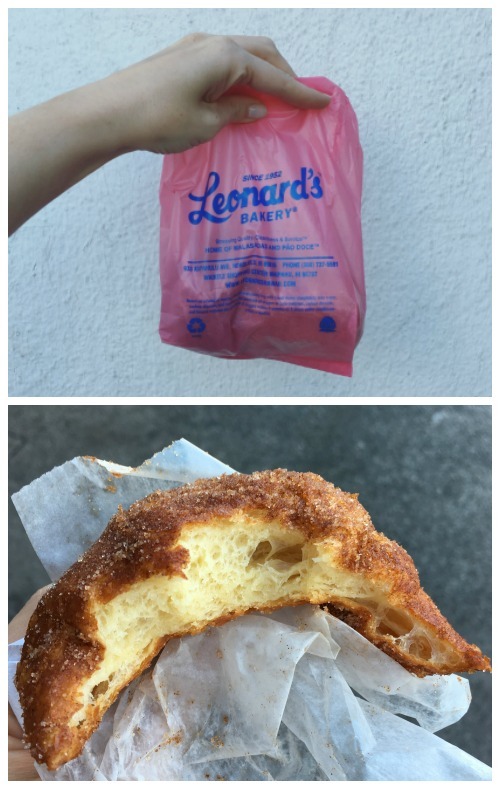 We kicked off the drive with malasadas (Portuguese donut hole) from the famous Leonard's. We tried the original (sugar coated) and cinnamon. The light fluffy cinnamon was my favorite. We really got to see "true Hawaii" on this drive passing beautiful scenic views and driving along the water. 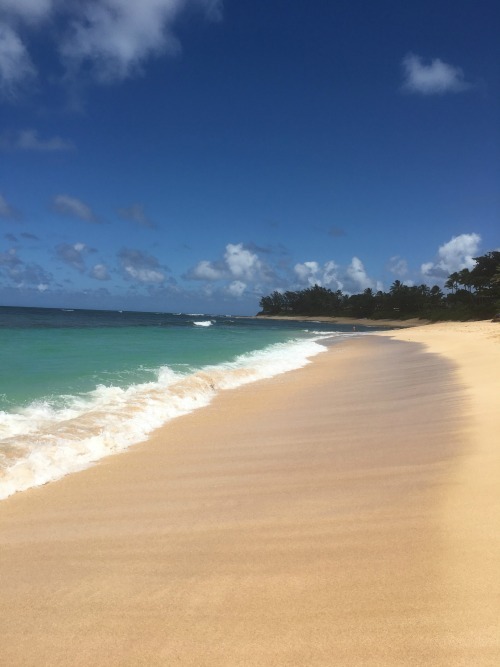 We stopped on a variety of gorgeous beaches - though turns out the famous Pipeline isn't so amazing in the off season (lol) - and saw Waimea Bay from above. 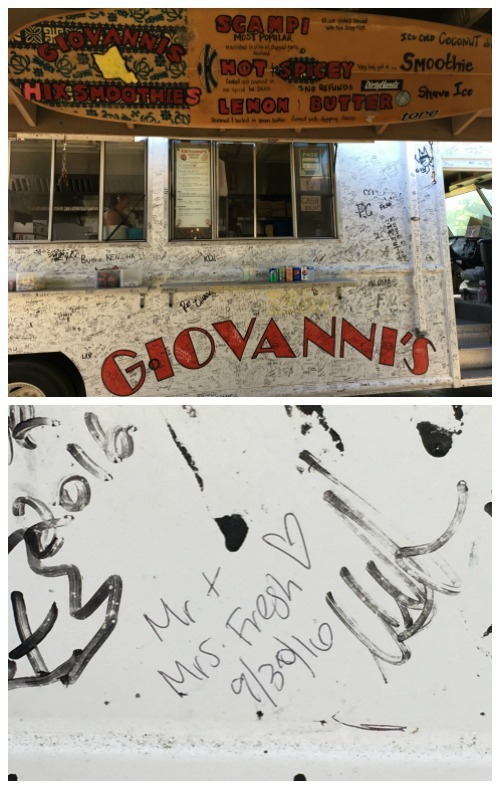 We stopped in Kahuku for famous Giovanni's Shrimp Truck (omg so good) and then headed to the Turtle Bay Resort. 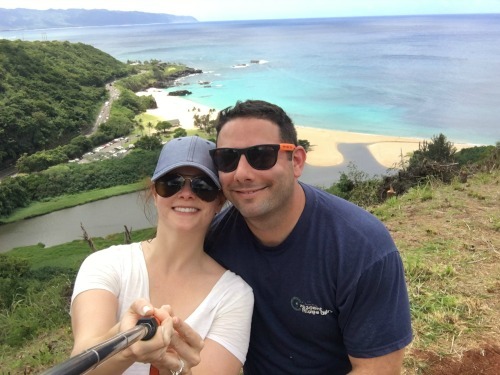 We definitely wanted to stop there because we heard it was gorgeous and because of the various movies that were filmed there, like a favorite Forgetting Sarah Marshall. The grounds are so beautiful and we grabbed a drink beach-side before getting back on the road. Our drive took us to a cute town, Haleʻiwa, with shops, poke, and Matsumoto's famous shave ice. We got back to the hotel and was happy to catch the Aloha Friday fireworks which we could see from The Modern. Dinner at Morimoto at the hotel capped off our Honolulu experience! Overall, despite Honolulu kinda feeling like being in Miami, we both really loved the city and had a blast. 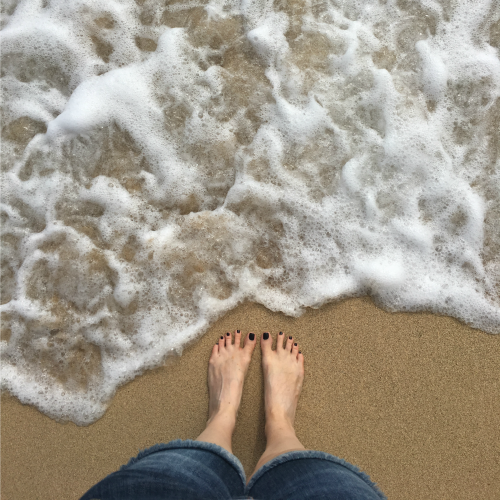 Taking the day trip around the island to the North Shore was totally worth it. 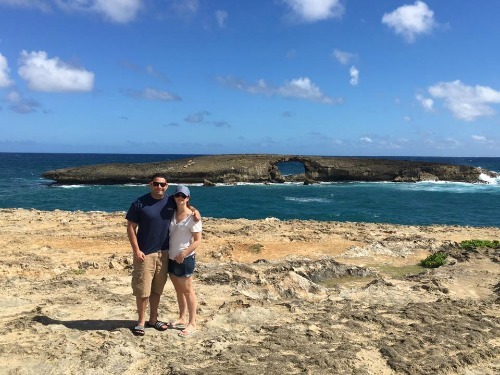 We wished we had planned to go to Kualoa Ranch (which is supposed to be beautiful and has a movie tour) and had spent more time in Chinatown, as I mentioned above, but I guess we have many reasons to go back! If you made it this far, thanks for reading! You can also view more photos at #alohacovals. Next stop: Kauai and Maui! 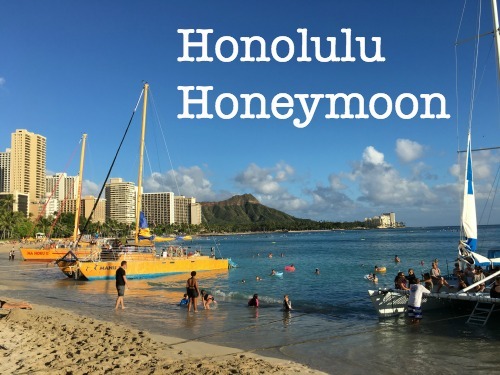 what an incredible first part of your honeymoon!! 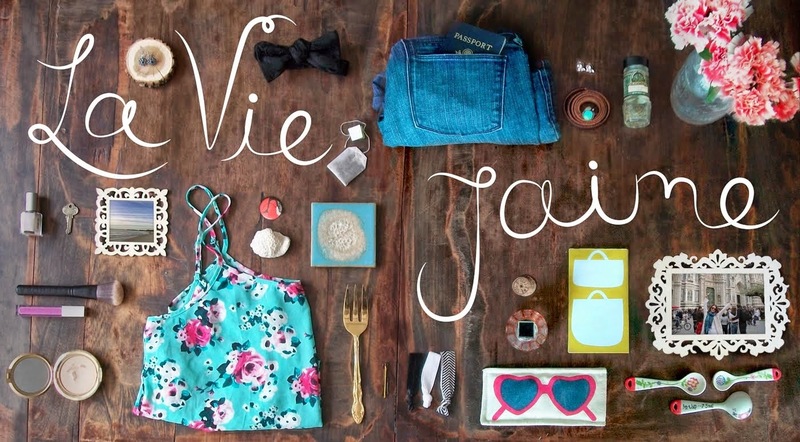 I'll get to Hawaii someday and will keep this in mind as a guide!! So glad it's helpful! Happy Honeymoon!